You love blogging, but the amount of time it takes to do it efficiently is daunting. Successful blogging does require a great deal of time. Researching, writing, editing, publishing, promoting, and responding to commenters are all necessary blogging tasks. However, you pay the price in order to accomplish them efficiently. Time with your family, time for your job if blogging is a hobby, time for your hobbies if blogging is a job, or simply time to stop and smell the proverbial roses or coffee, often take a back seat to the all-too-necessary blogging tasks. A feeling of suffocation is common among bloggers who simply have too much to do without enough time to do the activities they want to do and need to do. Just deciding which Emails to keep, archive, delete and respond to can take hours each day. Writing those responses can take even longer. The time it takes to decide which websites to read, pass on, or bookmark can be an additional drain on your time. A famous expression states, “Don’t be so busy making a living that you forget to make a life.” I have tweaked it to Don’t be so busy building a blog, that you forget to build a life. Considering the superabundant amount of choices available to you in this Digital Age that we now live, it is easy to do just that. 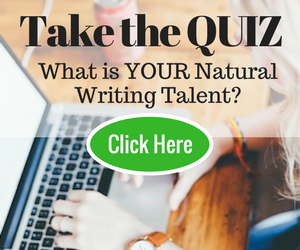 Are you so invested in blogging that your personal life or professional life is coming up short when it comes to receiving your full attention? There is a way to find balance. Balance, the tenet Everything in Moderation, is an eastern philosophy, yet anyone can find balance, even bloggers. Picture your life like a scale with blogging on one side and life on the other. You want the time spent on each to be evenly weighted, or as close to evenly weighted as possible. This article will explain how to find balance even while you attempt to navigate life within the blogosphere. Know your goals. You need to know your goals before you can focus on achieving them. For example, if blogging is your hobby, try to boost your page views by receiving organic traffic. On the other hand, if blogging is the means to an income, focus on growing your subscriber list, so you have permanent eyes on your blog, your advertisements, your Email marketing distributions, and so forth. You will achieve your goals quicker if you focus on achieving them. The end result–you will have more time for activities besides blogging. Cut yourself some slack. Everyone learns by doing, even bloggers! Allow yourself to learn as you go. If life is a learning curve, then blogging certainly is. Give yourself permission to fail, so you can learn going forward. Blogger burnout is easy. Actually, many burnout and abandon their blogs within nine months. 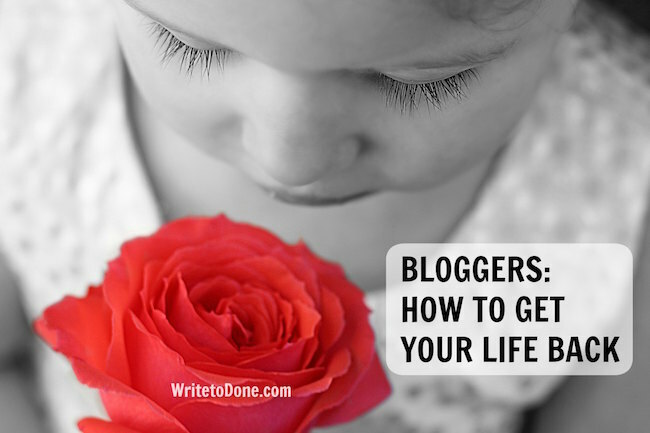 Realize blogging is a learning curve will help you avoid guilt and eventual burnout. Find groups of supporters. They do exist. For example, Tiberr exist just so you can have tribes of bloggers to help promote your links for you on Twitter. Also, if you put a Click to Tweet in your welcome Email, your own subscribers can help spread the word for you that you have a blog worth subscribing to. The end result– you will have more time on the “life” side of the scale. You will spend less time promoting your blog posts since you will have help with this time-consuming task. Ask for help from non-bloggers. Many people believe in troubleshooting. If they just click around long enough, or Google their questions long enough, or wait for their computers to refresh or restart long enough, their frustrations will be behind them. Keeping your ego in the game and believing you can solve problems that might be quicker for other people to solve is a time drain. com is a site that is rapidly gaining in popularity to answer questions. Use it to ease your frustrations and end your confusion. It is often quicker to ask someone else for help than aggravate yourself unsuccessfully trying to trouble-shoot. Quora’s users are knowledgeable, and they don’t make you wait long for an answer. Delegate when you can. Asking for help includes asking family members, neighbors when needed, and friends to help you. For all you know, they will appreciate your including them in your blogging life this way. Too many non-bloggers feel shut out of people’s lives that also have a life within the blogosphere. Take your ego out of blogging. If your blog statistics consistently fall short, consider making a change. Don’t take such ownership of what you are doing that you aren’t open-minded to letting go of what is not working. Don’t squander your time repeatedly making the same mistakes with disappointing results. You need that time for the other areas of your life that lack your attention. Have a “no thank you” list. Letting go of what’s not working includes your personal life as well as the blog. In order to have balance (as well as have time to sleep) you have to say “no” and be able to say it without guilt. No one would want you to commit to an activity if your mind was elsewhere. Take time responding. If you make going through all your Emails a priority, you won’t get done what you need to accomplish in the course of your day. Only go through your Emails once a day in the morning. You can see what came in during the night. If it is just not possible to check Emails once a day, then devote the time you can to going through them, but don’t make it a priority. What is a priority for you may not be a priority for other people. When time allows, do a mass delete. Go through your Emails on your computer or laptop. Don’t go through your Emails on your phone. It is much faster to delete many Emails on a laptop or desktop where you can click many boxes in front of unwanted Emails at once than a mobile device. Restricting the time you go through your Emails to the times you are in front of a computer has several advantages. You won’t be spending as much time working on your blog since most of the day bloggers use a mobile device. Also, you will respond to Emails slower (tip #8) since you will be in front of your laptop or computer less often. The result will be a more balanced life since you will have more time to devote to the your life outside of the blogosphere. Streamline your blog promotion. Sites like ViralContentBuzz exist which allow you to promote your blog post on five sites at once. On Twitter, you are now able to focus your promotion on interested parties using Twitter lists. Preschedule your blog post promotion. Sites like Hootsuite and Buffer enable you to preschedule your posts to appear on social media weeks ahead of time. Hootsuite allows for three social media accounts. Use the site to preschedule when time allows. Use an editorial calendar. Schedule both your personal and blogging commitments on a calendar. Both the WordPress editorial calendar and Co-Schedule’s calendar allow you to do this electronically. Use guest authors. A second “voice” on your blog can only empower your readers that much more. Think of what you can do in the time you picked up– network to further your blog contacts? Date night so you remember to still have a personal life? Use bookmarking sites. Content curation sites Pinterest, StumbleUpon, and Flipbook save you time researching when it’s time to write your post. Save the research you find before you write at these sites. Take electronic notes. Digital notetaking apps can to help you remember both personal and blogging tasks. Evernote and Google Keep are ideal for this. You can even use them as places to store ideas you find on the web which make them also helpful as content curation sites. Minimize the blogging tasks. Tools are available to help us like apps, programs and websites. Use them to help blog faster. When new tools get invented that could help you effectively cut corners, be open-minded to using them. Have tech-free time. Many bloggers are busier but less productive due to all the lures the Internet provides. Read a blog post? Respond to a commenter? Play a game? Check your stats? These are just four of the temptations that the Internet offers while you are trying to focus on productively living your life outside of the blogosphere. Try putting your phone out of site to minimize the lure of the Internet. Medical conditions exist today where people are unable to turn off and tune out. Practice tuning out in order to focus on being productive and not just busy, and then you won’t see the day when that medical condition is listed on your chart at the doctor. Are You Ready to Get Your Day Back? In closing, you can find balance in your busy life. By staying focused and having a “no thank you list,” you will be able to minimize your priorities, so you can stop trying to do so much ineffectively and do more efficiently. Think of your life like a tree. It is desirable to trim the tree. People with attractive-looking front yards have their trees trimmed and pruned. Your life should be trimmed of unnecessary activities. Then, you will have a blog you can focus on being proud of and time for a quality life. Janice Wald is on a mission to empower site creators with tips for engaging readers, improving content, technology, blogging, social media, photography, SEO, and increasing traffic. Follow her over to MostlyBlogging.com. Free incentives await you for signing up. Thanks for this advice. I needed to take my life back from blogging. This is really taking the whole of my time already. It was my pleasure to offer these tips for Mary’s readers. I would have come sooner, but I was out of the country for several months after publishing without internet use. Breathtaking post, Janice — I’ve been taking an entire vacation day from every single electronic gadget since before the start of my site in 2008… and I think of it as a MAJOR variable in my prosperity. Burnout is a BIG issue in blogging! You sense that you generally must be on… yet you don’t. Thank you for commenting on my article. Congratulations on having the willpower to give up electronic devices for all these years. You sound like you are an inspiration for the people that you reference, the people that feel they always must be on the Internet. Awesome tips to achieve your own dream and yes, quora and triberr are the best platforms to communicate with experts in your same niche. Most of the tips I am following. Thanks for sharing helpful tips. Very nice and informative share ,I appreciate your Beautiful efforts to make it interesting and great value of time.thanks once again you are doing a great job. What kind words Jadhav! Thank you! Thanks for the suggestions and nice words about my article. I use Quora but not so much Triberr anymore. Thanks for writing us. Good, Yes agreed with you, we have to take time our self but as a blogger, we have to maintain lots of work and I am also working almost 12hrs on my blogs, but nowadays I am spending some time on Movies also. The techniques mentioned in this article are great. They are very helpful and I will implement these tips into my own blog. Thanks for the great article! Great advice to check emails on your computer or laptop! Too many times we are halfway disconnected from the pleasures of the present, because we cannot resist checking emails on our phones. . . I am trying to work on it. When I am having a conversation with someone and my phone buzzes I say: That can wait, I want to talk to you! . . .
For freelancer writers that charge an hourly rate: at your discretion, I would like to suggest my site http://www.CalculateHours.com, where you can find simple calculators to add up hours and minutes, as well a full selection of excel templates that will help you calculate your freelancing time. I hope you find it to be of value to Freelancers. Thanks for sharing this wonderful blog with us. Everybody wants a reason in their life with that reason we can live our life , our childhood and all the fun. I found this one very effective for me ..
I’m working with tips 11, 12, and 13 right now. I’m most excited about having a close friend and fellow blogger write some guest posts for me! It’s going to be great to have a partner in my blogging adventure! Wow, does this apply to me! All bullet points are useful and smart. As an author, I juggle my time between writing, travel, etc., and now have just moved across the country so everything is in flux right now. I’m sure all of these points will help me out immensely! Excellent Janice ! Especially need to do no2 and cut myself some slack! Have tech-free launch…get my life back. Yeah. it’s interesting. By doing blog, we do spend time. I, myself, spend time about 8 hour each day. Researching keyword, take picture, edit it, research article, make it good, readable and understanding and also the last part is SEO. Sometimes its boring and sometimes its fun. Especially when i write about things i like and also i do not know. Thanks for the tips….few of it i already done, but i will try to get my life back with other of yours tips. Thank you for commenting on my article. I am glad you enjoyed it. Thank you for reading what I wrote and commenting on my article. I am glad you found the information valuable. It was my pleasure. This is a great topic. I read it and made notes to follow-up. I just have a couple of questions. What is “organic traffic?” Also, besides proofreading, and reading your posts, what other “chores” might you suggest that non-bloggers do for you? Thanks again for the great article. I’ll look you up. Regarding the “chores” nonbloggers can do for you– that varies depending on your lifestyle, needs, and budget. I have a marketing friend who writes copy for me. I teach him social media. I have a friend who helps me with the technical end of blogging. I give her advertising space as payment. There are many ways like this bloggers and nonbloggers can help each other if you don’t have a budget to hire a Virtual Assistant. It could be something as simple as carpooling, so instead of driving daily, you have more time to blog. You wrote you would look me up. Thank you. I would love to have your readership. My apologies. I realized I never explained what “organic traffic” is. Organic traffic is traffic coming to your site from search engines. Terrific post, Janice — I’ve been taking a full day off from all electronic devices since before the beginning of my blog in 2008…and I consider it a MAJOR factor in my success. Burnout is a BIG problem in blogging! You feel like you always have to be on…but you don’t. Nice to see you here. I have seen you on Twitter and I believe in a blogging Mastermind group I am a member of. Thank you for the kind words about my article. I posted an article about the need to take a day off from electronic devices. How often do you take tech free days? I agree with Mary. Thank you so much for your enthusiastic interest in my article. It was my pleasure. Printing it out for later reference is a great idea. If you are interested in more productivity tips, I have many articles like this one at my site, MostlyBlogging. Perfect! Finally have found something to share with good information. I am learning a lot! Thank you for commenting on my article. I am glad you found my 17 tips for getting more time back in your day useful! Thank you so much for your kind words about my article. I am glad you found my blogging tips useful in improving time-management. If you are interested, there are more time-management tips on my site, MostlyBlogging. Thank you for commenting on my guest article. I am pleased you consider it an important resource. If you are interested, there are more productivity tips on my site, MostlyBlogging. Thank you so much for hosting me. I am genuinely grateful for the opportunity to have my writing featured here and to empower your readers. As someone who works a full-time job and blogs on the side, I can relate to your post a lot. At times it felt like there are not enough hours in a day, it’s so easy to end up burning out if you are not careful. What I found to be useful is to start a habitual process for my daily blogging tasks whether it be writing, connecting with other bloggers or learning. To my surprise, I got a lot more done once it becomes automated. Thank you so much for commenting on my article! Thank you as well for the invitation to join your expert round up post. I see you featured the post on your blog. I am so flattered. I hope you readers enjoy it. I agree with what you wrote about burning out so badly our health suffers. I agree that as busy as we are it is important to take care of ourselves.